Z-Wave communicates using a low-power wireless technology designed specifically for remote control applications.Z-Wave operates in the sub-gigahertz frequency range 865.2MHz. This band competes with some cordless telephones and other consumer electronics devices, but avoids interference with Wi-Fi, Bluetooth and other systems that operate on the crowded 2.4 GHz band. Z-Wave is designed to be easily embedded in consumer electronics products, including battery operated devices such as remote controls, smoke alarms and security sensors. What is Z-wave mesh network? Z-Wave utilizes a mesh network architecture, and can begin with a single controllable device and a controller. Additional devices can be added at any time, as can multiple controllers, including traditional hand-held controllers, key-fob controllers, wall-switch controllers and PC applications designed for management and control of a Z-Wave network. 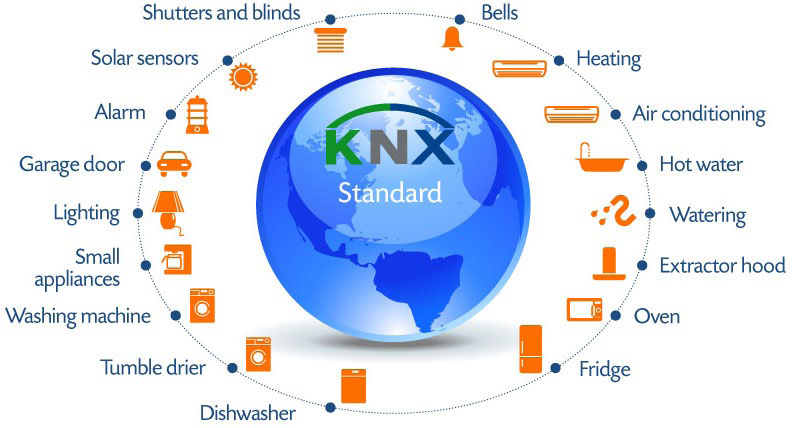 What are the advantages of using KNX standard? Make the electrical installation more reliable, reducing the chance of electrocution. Tailoring the switch commands to ensure greater user comfort. We’re pretty proud of the fact that we deliver one of the best customer support experiences in the industry. Our in-house team is staffed by knowledgeable and certified engineers who have been in the trenches and know what it’s like to need the answer now. And whether you prefer to contact us by phone or email, our customer support team will always be here for you. Call +91-80-42191215 / +91-98451-99232 for a free consultation or sign up below to receive more information from us. Home Smart Home is the publication that brings you the latest trends in home control solutions and smart devices.Read features and stories about people and places all over the world that have been transformed by automation. Get your FREE version of the latest issue here!